Your storefront signage is proof your business exists. But it should be so much more than that. The quality of your signage says a lot about the quality of your business. Think about it. If you have a dilapidated sign that’s faded, has partially illuminated letters or is even broken, what impression do you think you’re giving the general public? To gain and grow a sterling reputation in any industry, a company’s signage has to be top-notch. It should not only be constructed with a unique design but it should be properly maintained. The combination of passing time and inclement weather can give signs quite a beating. That’s only natural. But poor craftsmanship and inferior-quality materials – that’s just unacceptable. Make your stand-alone storefront stand out. 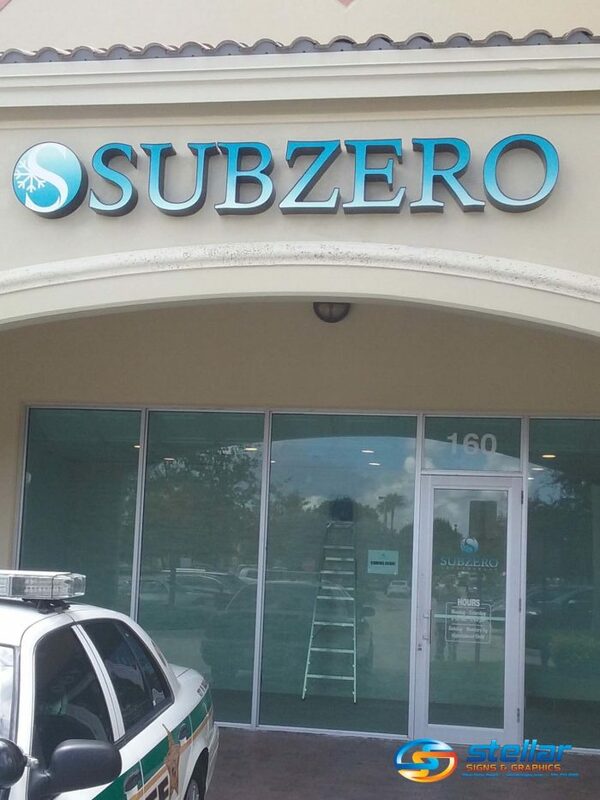 It’s especially important to have a storefront sign that stands out from others when your business is part of a strip mall or plaza that is home to several other businesses. When the signage experts at Stellar Signs & Graphics consult with their clients, we make sure to learn of their specific and unique mandates for their brands. In other words, we like learning about what sets their brands apart from others. We then like creating signs that help them to do just that! Doesn’t it always? Remember, that bigger doesn’t necessarily mean better. When determining the size of your signage, keep in mind the size of your store. According to MyBusinessTalk founder, Brian Horvath on BusinessTown.com, sometimes having a sign that is too big can be a distraction and take away from your message. Let’s get to work on a sign that sets your brand apart! 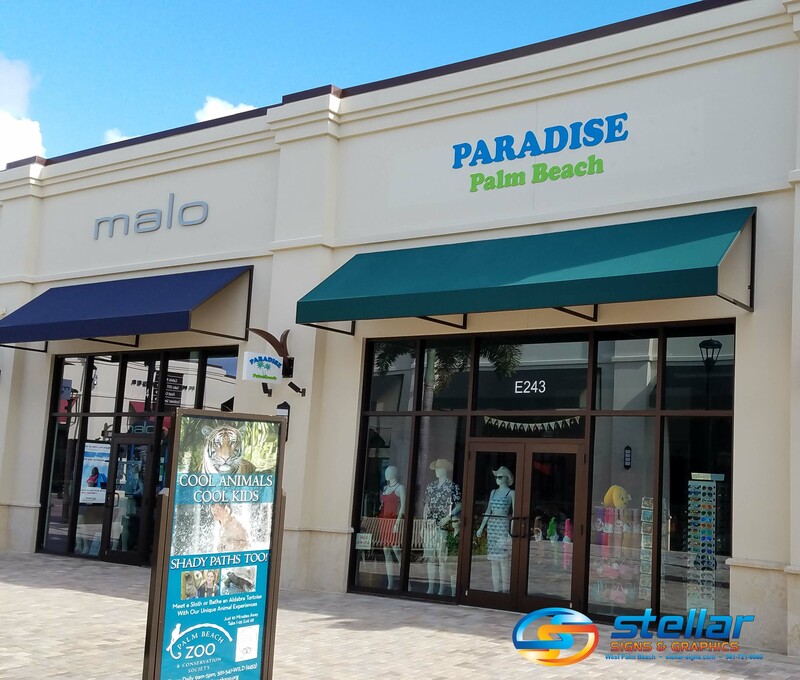 The experts at Stellar Signs & Graphics serve the business communities in and around Palm Beach County, West Palm Beach, Royal Palm Beach, Wellington, Lake Worth, Boynton Beach, and Greenacres, Florida. Give us a call at 561-721-6060 today!